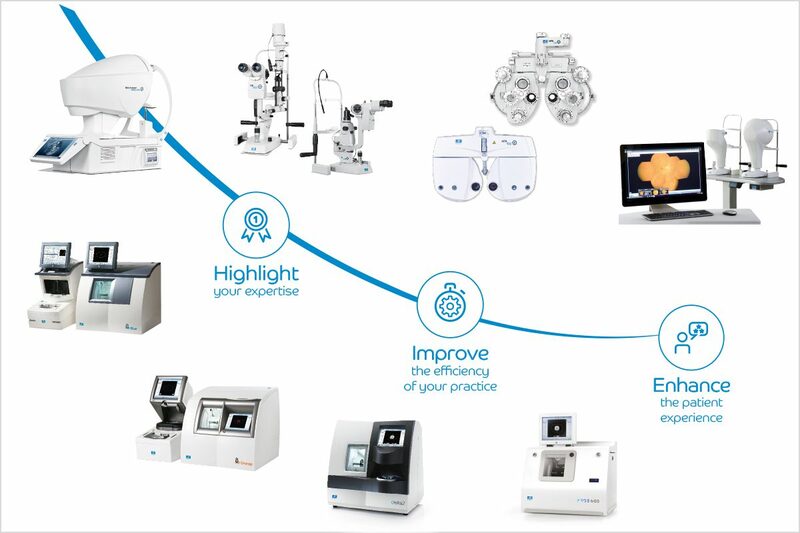 Essilor Instruments provides a wide range of edging-mounting products, refraction equipment, diagnostic and imaging equipment, as well as measuring solutions, visual screening and innovative connectivity solutions. 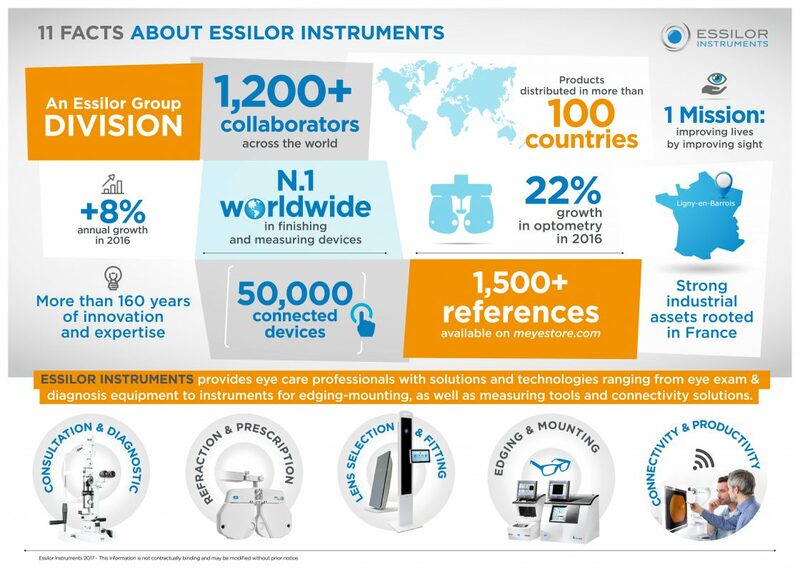 Essilor Instruments is a division of the Essilor Group, leader in the development, manufacturing and distribution of solutions and services for eye care professionals throughout the world. With a core business focusing on edging-mounting and the optician’s workshop, Essilor Instruments has expanded over recent years into optometric instruments, a segment with a strong growth potential. It provides a wide range of refraction equipment, diagnostic and imaging equipment, as well as measuring solutions, visual screening and innovative connectivity solutions. 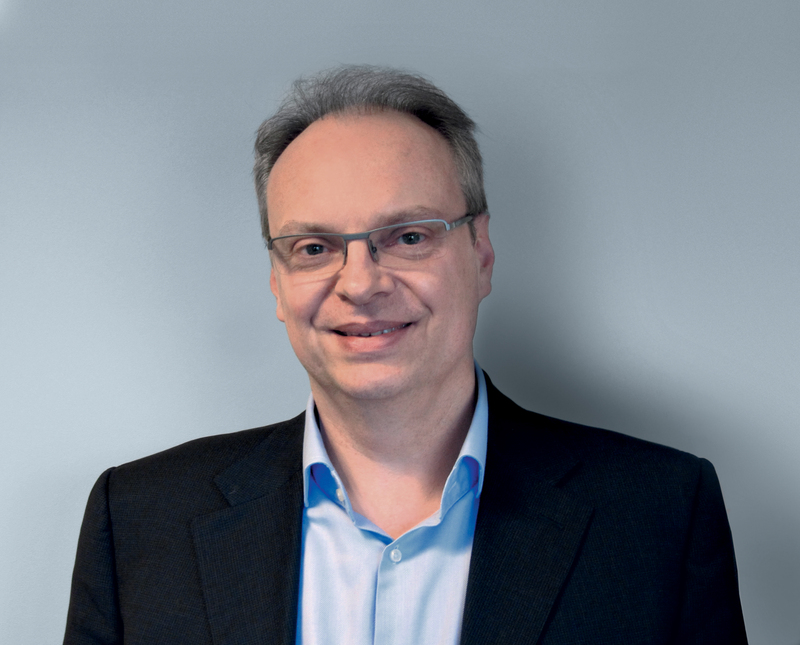 Essilor Instruments aims to provide innovative solutions and technologies for the diverse needs of ECPs to help them improve the efficiency and quality of their services, as well as strengthen trusted relations with their patients. Thanks to constant innovation, Essilor Instruments is a leader in visual screening, finishing equipment, measurement of fitting and mounting parameters as well as in the distribution of tools, equipment and consumables. Recognised for its high-performance solutions, the Division has gained 5 Silmo d’Or innovation awards over the past ten years. Essilor Instruments’ flagship brands are: Pro-E™ 600, Mr Blue®, Mr Orange®, Essibox®, M’Eye Fit® and Visiotest®.